Broadly, a market is any public space devoted to selling and trading goods. In addition to providing a space for vendors to sell their wares, markets also provide a central place for communities to gather, thereby promoting local connectivity and contributing to the identity of Place. In some cases, markets have even played key roles in helping to re-build and re-energize areas that had been devastated by natural disasters. The earthquake of 2010 devastated much of Haiti, including its capital, Port-au-Prince. 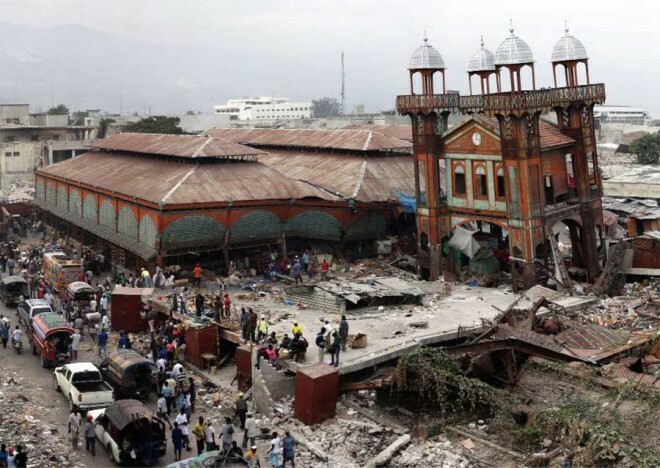 The city’s Central Market, however, was one of the first major buildings to be rebuilt after the quake. According to the mayor: "Anyone born in Port-au-Prince, who has shopped in Port-au-Prince, they all have a story, a memory, from the market." After the quake, hundreds of vendors set up temporary stalls adjacent to the demolished market site. Rebuilding the market was a top priority not only because of its vital role in the local economy, but also because of its symbolic value—representing the strength and resilience of the community. Iron Market. The name alone belies its power. In its 123-year lifespan, despite fires, floods and lack of maintenance, it has yet to fade in economic or cultural importance. 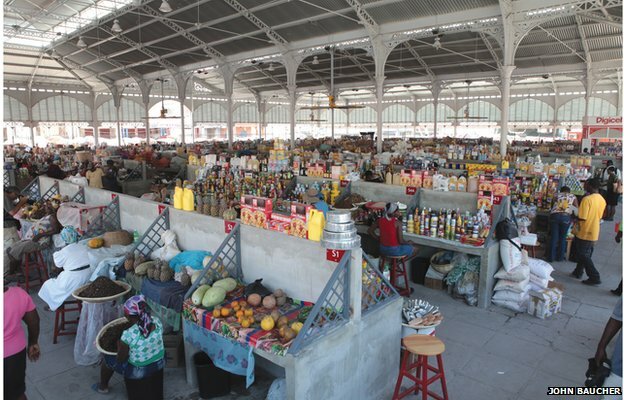 Located in the main commercial district of Port- au- Prince, Iron Market has over 900 vendors in its halls alone. 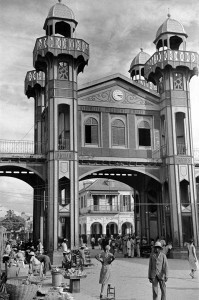 Imported from France and originally intended to serve as a railway station in Cairo, the market’s distinctive structure was shipped instead to Haiti in 1891. No one seems to know why it was rerouted, but vendors and shoppers alike have recognized the value in the towering minarets and bright-red, theme park style exterior. Also recognizing the value of the Iron Market, Denis O’Brien, founder and Chairman of Digicel, Haiti’s largest telecom company, helped to finance its rebuilding. Since 2011, Digicel has also signed on to help organize the management of the market for the next 50 years. As part of this process, they’ve held focus groups and surveyed vendors in order to improve the functionality of the market. The rebuilding was a collaborative process between John McAslan + Partners and local artisans, craftsmen, and vendors. It was a collective effort that employed over a hundred community members, with tasks ranging from design to construction. In rebuilding the structure, they used as much of its original material as possible. However, the new market is designed to international earthquake and hurricane specifications and incorporates solar power. 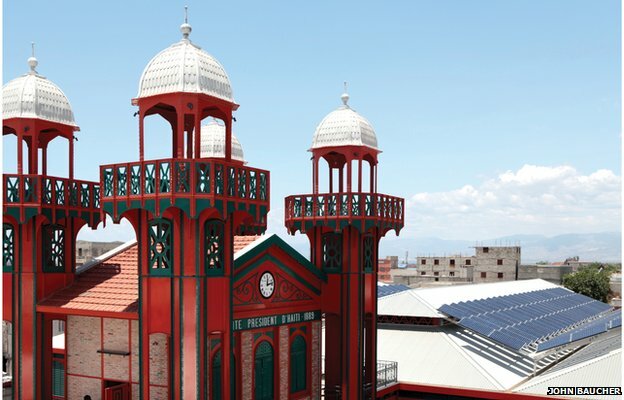 Iron Market’s restoration is a great example of locally-based restoration efforts, and it reflects a positive investment in a historic market with deep significance to the community of Port-au-Prince. In rebuilding a historical landmark, Haiti has demonstrated the power markets have in regeneration efforts. However, this embrace of marketplaces as tools for disaster recovery is not unique to Haiti. Across the world we can see examples of how markets rejuvenate fractured communities. In Cedar Rapids, Iowa for example, following a devastating flood, the community started the rebuilding process by creating a public market to congregate around. Recognizing the value of public markets, as tools for cultural regeneration, community building, and economic development, is a powerful step in reclaiming our cities. This article was originally written by Max Miller, summer intern at PPS during 2014, and edited with the help of PPS communications team staff members.